SMEs from the Alibaba Ecosystem collaborated with INTI International University to help them solve their Alibaba account problems. 50 participating students solved marketing and branding related problems and learned how to improve an Alibaba account for an SME, despite not knowing how to handle the Alibaba online platform. Students successfully improved traffic for the employer Alibaba account, while solving marketing and branding issues. Students learned how to operate and improve an Alibaba account for an employer. They also learned how to solve marketing and branding problems, how to pitch ideas, and how to work as a team.Students learned how to operate and improve an Alibaba account for an employer. They also learned how to solve marketing and branding problems, how to pitch ideas, and how to work as a team. In an April 2018 session, 180 INTI students from the HRM2100 (Fundamentals of Human resource Management) had the privilege of collaborating with Maybank, in an employer project called, “Making Maybank the Employer of Choice”. The objective of this project was to recommend practical and relevant practices, in the areas of Employer Branding through the Engagement Programme and College Recruiting for Maybank. 10 teams presented their research outcomes in the form of presentations, several short videos, and also submitted a hardcopy of their presentation slides for grading purposes. Maybank were impressed with the students’ presentations and research findings, as they were creative in their ideas, especially the team who came up with the Snapchat idea. 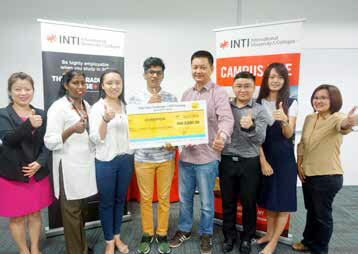 27 INTI students from the Bachelor of Commerce programme were asked to propose a marketing communications plan for a new B2C start up E-Commerce. The objective of this project was to propose a marketing communications plan that was context relevant, and within a specific budget. Generally, the students were reluctant to take part in this project because they were concerned about the additional time commitment needed, and whether or not they could meet the employer’s expectations. They had to be coaxed to direct their questions to the employer instead of the faculty representative. The students successfully developed a marketing communications programme for the employer, and was able to justify the programme. They demonstrated subject knowledge, developed soft skills such as communication, teamwork, time management skills and business knowledge. 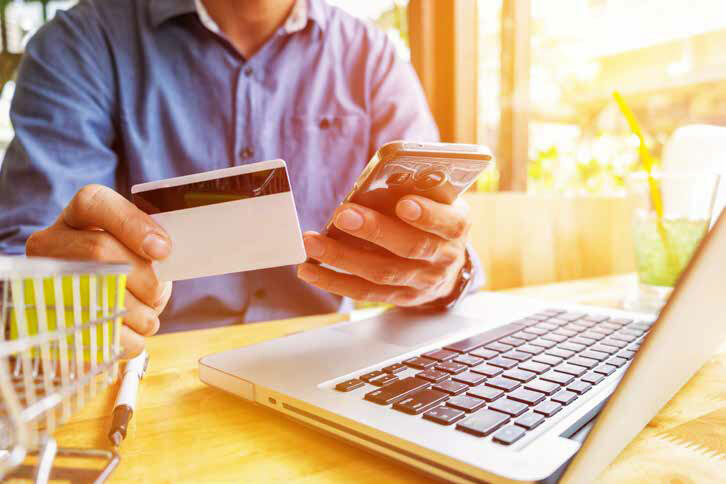 The E-Commerce Employer Project promoted subject learning, and practical application of knowledge through employer engagement – as employers are an important source of information regarding emerging issues and challenges. They also enhanced graduate employability by building prior relationships with potential employers. 14 students from the 3+0 BA (Hons) in Accounting & Finance in collaboration with the University of Hertfordshire, UK programme were given the opportunity of a lifetime to collaborate with DiGi, one of the top telecommunications companies in the country.The team of students were assigned to an employer project that involved strategic planning and execution of the sales and marketing plans for the DiGi Store. After various challenges and training on the services offered by these chain of stores nationwide, the ultimate project finale came in the form of a one-day Group Sales Challenge. Before the students could start working on their project, they attended a number of sales training workshops which were conducted by DiGi representatives to ensure that they had the fundamental knowledge of Digi’s line of products and services, and understood the effective sales methods used in approaching new customers. The students were divided into smaller groups to complete the various tasks that would eventually lead them to the final challenge – setting up a booth on campus to promote DiGi’s products and services to fellow students with a seed fund of RM1200. In addition to the technical expertise they gained, students also had the opportunity to practice important soft skills including communication, collaboration, creativity and critical thinking skills throughout the project. With DiGi’s prime understanding of the student target market and sales approach, it was a significant opportunity for the students to have a taste of this real working experience. DiGi also put the students into situations faced by their own employees on a daily basis, empowering the students to think and develop solutions as young professionals would. From on boarding exercises to training and work placements by DiGi, the students took on various roles and produced industrystandard sales and marketing plans, which included a proper financial analysis surrounding forecasting, budgeting and balancing of financial statements – all leading up to their final challenge. By exposing these students to industry experiences which take them beyond their classrooms, they gained practical insights into how accountants in established organisations work together with other teams to understand all of the essential aspects and components of the business, including sales and marketing. At the end of the challenge, the top three winning groups were rewarded with cash prizes as recognition for their sales strategy and hard work. By adapting the knowledge they had learned in the classroom to a real business issue, students were able to broaden their practical experiences in adapting to the working world. Apart from honing their soft skills, the collaboration with DiGi also proved to be a great confidence booster for these students as they shared their views, disputed certain ideas and eventually came together to build an effective strategy for their team. Furthermore, working in diverse groups of local and international students, they learned to understand and embrace cultural uniqueness, while keeping the group members’ creative juices flowing to develop an impactful plan in the long run.